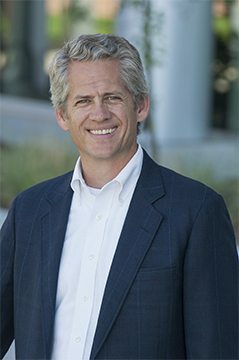 After two plus decades at Haselden, Senior Project Manager Joe Hanlin has learned to use his construction management skills not just at work, but also to help an organization he’s passionate about: Families First. Families First is a Colorado-based organization whose goal is to stop the cycle of child abuse. They help thousands of kids—and their parents—each year by offering education classes for parents, hotlines, and the Children’s Treatment Center. The only downside to the CTC is the building itself; it’s beautiful, but it’s around 100 years old! Enter Joe Hanlin . . .
Joe Hanlin has been active in the commercial construction industry for nearly 30 years. He’s presented at the Associated General Contractors of America national conference and local conference, as well as the national Lean Enterprise Institute conference. Basically, he’s an expert in his field—and he’s using that expertise to help Families First. Joe has been on the Families First Board of Directors for three years now. He first became involved with the organization in a roundabout way. He’s coached soccer for the Colorado Storm for almost 20 years, and one of the player’s parents was involved with Families First. She knew the organization was looking for someone with construction knowledge to sit on the board and asked Joe if he’d be interested. She made the introduction, and the rest is history! Since then, Joe has used his knowledge of construction and contacts in the industry to help Families First make improvements to their facility and find ways for them to save money while doing so. Every dollar saved is one more that can be spent on the kids. 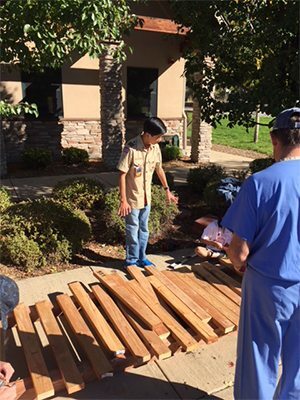 Recently, Joe volunteered to help a Boy Scout (Ethan) who was working towards his Eagle Scout rank and wanted to do a project at Families First for his Eagle project. The Families First staff often needs to walk between the administration building and the CTC, and there was a swampy swale they had to navigate to get between the two buildings; Ethan took on the challenge of building a bridge over this area. 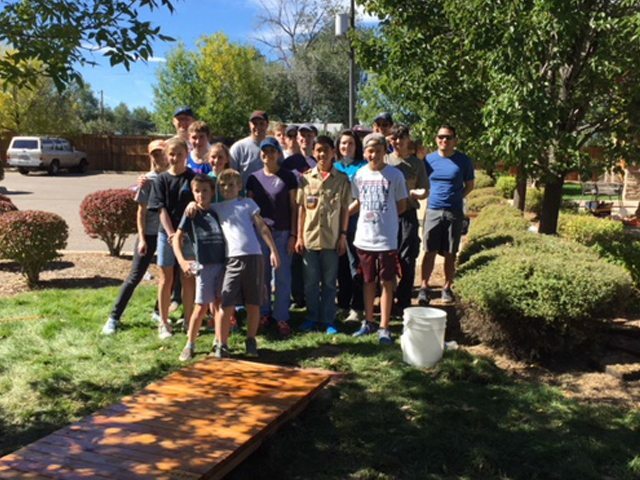 He procured donated lumber from Home Depot and Lowe’s, and on October 7th, led about 40 volunteers (adults and kids) from the LDS Church who had partnered with them for the day to help build the bridge and secure it in place. Joe aided in the construction, making sure the project was done safely and correctly, while Ethan led the team. Another project was also happening on that Saturday. Some of the light fixtures in the facility had hard to find (and very expensive to replace!) light bulbs; Encore Electric had worked with suppliers to find light fixtures that would work in the existing spaces, be more efficient, and have easier to replace bulbs. On that Saturday, they were installing the new fixtures. But that wasn’t the first time Encore had donated their time to Families First. Joe has worked with Encore Electric on Haselden projects for many years, and when he saw the electrical work that needed to be done at the CTC, he asked if they’d be interested in volunteering their time. A few months ago, they replaced all the outlets in the CTC with tamper-proof type, making it safer for the kids, and saving the facility money by eliminating a potential hazard. You can never tell what talking to someone at a soccer game will lead to. Or reading a blog post.